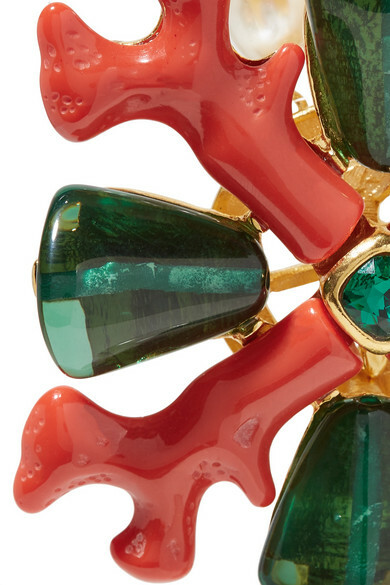 Kenneth Jay Lane's chunky necklace is from the label's aptly named 'Sea Life' collection. 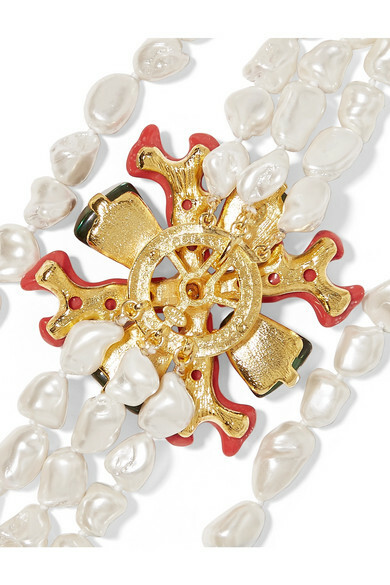 Cast from gold-tone metal, it has three strands of baroque faux pearls and an oversized enameled coral charm dotted with vibrant green crystals. Keep the first few buttons of your blouse undone to keep it on full display. Shown here with: Jacquemus Dress, Loren Stewart Earrings, Charlotte Chesnais Rings, 1064 Studio Ring.